If you have been a while, you know I have a small obsession with all things nerdy and geeky and Pokemon is no exception. 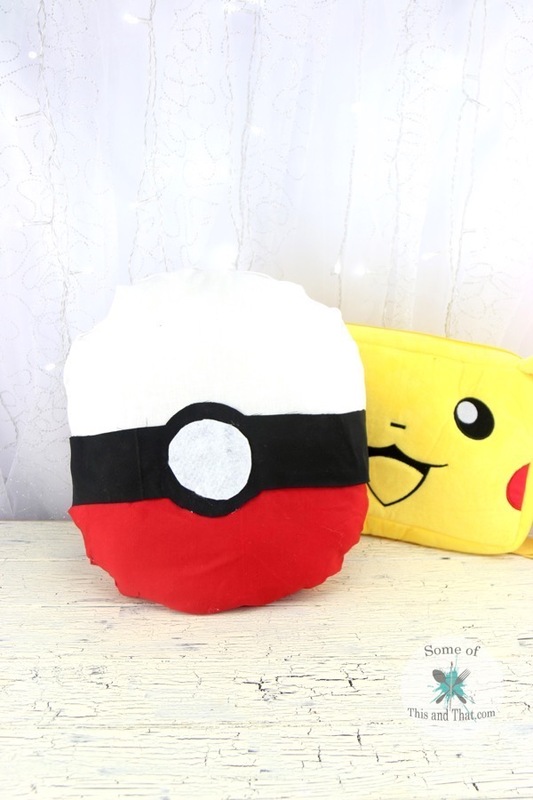 This week I am sharing how to make an adorable DIY Pokeball Pillow! I made the pillow without sewing, but if you have the skills to sew, you can sew it instead… we won’t judge. For the project all you need is some red, white and black fabric as well as some scissors and a hot glue gun. I prefer using a high temp hot glue gun because it has been my experience that they bond fabric together a lot better than a low temp gun. 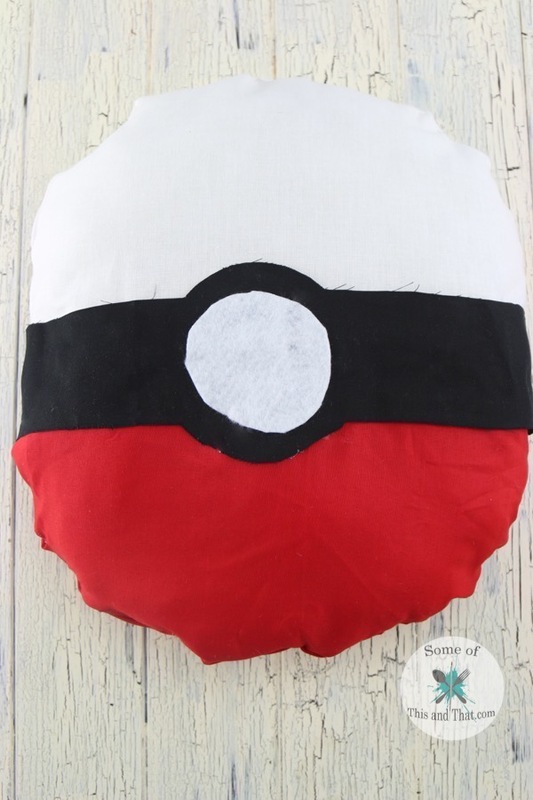 If you love Pokemon or have a friend or family member that love it, this is the perfect project! It takes around 30 minutes from start to finish, and even though it is hot glued together, it is really sturdy. I still have my DIY Flower Pillow that I made last year using hot glue and it still looks amazing, even with the wear and tear I put it through. If you love nerdy or geek crafts, be sure to check out our Nerdy Craft section here on the blog. It is filled with food, crafts and fun with something for everyone. 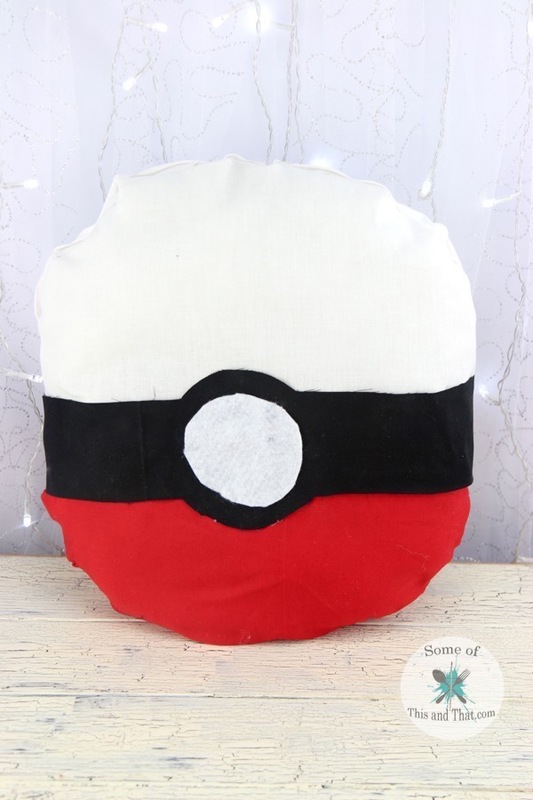 To learn how I made this super cute DIY Pokeball Pillow, be sure to check out the video below! Previous Post: « Deadpool Cookies!